China and Pakistan have agreed to strengthen anti-terrorism and security cooperation along a $ 50 billion economic corridor. Beijing: China and Pakistan have agreed to strengthen anti-terrorism and security cooperation along a $ 50 billion economic corridor that links the restive regions of the two countries through a network of rail and road projects. The China-Pakistan Economic Corridor (CPEC) connects Xinjiang province in northwest China with the deep-water Gwadar port on the Arabian Sea in southwestern Pakistan. It faces challenges from Islamic militants in both the regions. The CPEC, a part of Chinese President Xi Jinping's Belt and Road (B&R) initiative, runs through Pakistan-occupied Kashmir (PoK) and India has raised objection to the project. 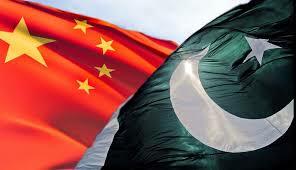 The security cooperation agreement was reached when Meng Jianzhu, head of the Commission for Political and Legal Affairs of the Communist Party Central Committee, met visiting Pakistani Foreign Minister Khawaja Asif and Pakistani National Security Adviser Nasser Khan Janjua on Friday in Beijing. Reports have said that Pakistan deployed a 15,000-strong military force to protect Chinese nationals working on various projects linked to the CPEC. This includes 9,000 Pakistan Army soldiers and 6,000 para-military forces personnel. About 71,000 Chinese reported to have visited Pakistan last year. Meng praised Pakistan's efforts in counter-terrorism and called for strengthened anti-terrorism and security cooperation in building the ambitious economic corridor. "China and Pakistan, as good friends, friendly neighbors and all-weather strategic cooperative partners, have always firmly supported each other's core interests," Meng said. Chinese State Councillor Yang Jiechi met Asif. "Promoting the all-weather strategic cooperative partnership between China and Pakistan is an unchanged policy," Yang said. He called for advancing the CPEC project and strengthening communication on issues of regional security. Asif said maintaining friendly relations with China is the cornerstone of Pakistan's foreign policy. Pakistan would take the opportunity provided by the CPEC to boost bilateral ties, he said. On Friday, Chinese Foreign Minister Wang Yi praised Pakistan's anti-terrorism record when he met Asif. "Pakistan is a good brother and iron friend of China. No one knows Pakistan and understands Pakistan better than China," he said.